Just 45 minutes outside of Houston, Texas you will find the charming bay town of Kemah, Texas. 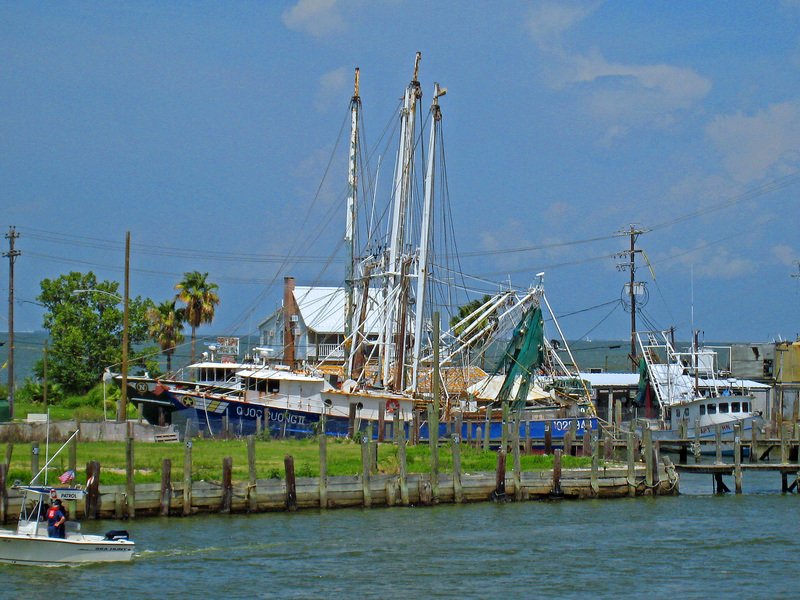 Located 25 miles northeast of Galveston, Kemah has long been a spontaneous fishing excursion for locals. Recently visiting with some family in the area, we ventured down to the Boardwalk for a relaxing lunch and activities for the children. Complete with miniature train around the establishment, the boardwalk is a permanent fair atmosphere with luxurious restaurants, adventurous rides, prizes and quaint stores for souveniers. Compared to Destin, Florida – it was difficult to appreciate the Galveston Bay waters; green and murky, though scattered heavily with boaters, fisherman and recreational activities. The breeze kept us cool, although the blistering Texas heat will exhaust and dehydrate quickly. We ate at the Aquarium and had a fantastic meal of fresh calamari, bayou shrimp pasta, lettuce wraps with spicy chicken and the children happily grazed on their kids pizza. Fresh water fish in large tanks surrounded the dining room. The prices were moderately steep, but considering the tourism and atmosphere, somewhat expected. Lunch for five was slightly under a Ben Franklin. The kids enjoyed the rides, although purchasing the tickets was exhasperating in the heat and long lines. 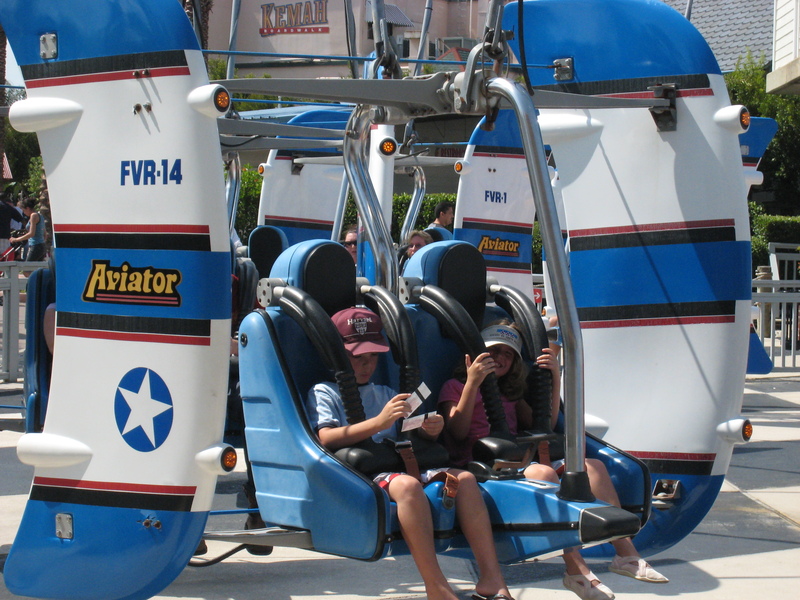 Our younger one was brave on the way up and bawling on the way down from the Aviator Swings, so luckily we didn’t have to spend a fortune on the rides. All in all, it was a respite from the city and enjoyable for the children. Spoiled by Destin Florida’s ambiance and luxury experience, it was most likely a one time trip but time well spent with the family.